Listen to the latest episode of SHAPE platform’s monthly show on Resonance FM. This time, it’s a live set by Marta SmiLga, a Latvian synthesizer music composer. Marta SmiLga is an experimental ambient music project of Liga Smirnova, a Riga based musician who lives for electronic music. 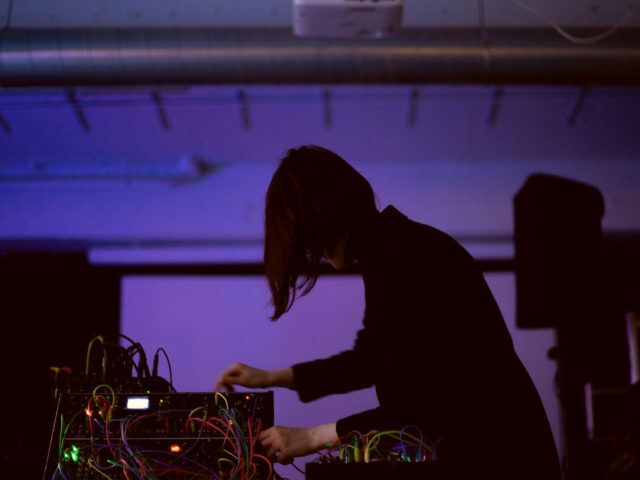 Since early childhood her main interest has been music, though her deep passion for electronic music and sound synthesis established at the time she conducted an in- depth research of electroacoustic music while studying musicology at Latvian Academy of Music. Using only electronic music instruments, mostly modular and keyboard synthesizers, she generates deep immersive cosmic soundscapes. Sometimes they take you to some unknown galaxies, full of shimmering stars. Sometimes they drag you into their gravitational field, like a matter into a black hole. As she is currently a product specialist at Erica Synths, the research of sound synthesis continues in even more practical manner. This set was recorded at Erica Synths’ garage, the synth company’s HQ and space for live video broadcasts. Marta SmiLga was nominated to the SHAPE platform by Skaņu Mežs festival.